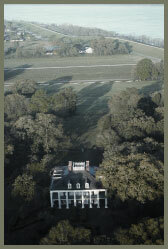 Oak Alley Restaurant open daily from 8:30 a.m. to 3:00 p.m. for breakfast and lunch. It's housed in a 19th century cottage located on the grounds of the plantation, not far from the historic grounds, serving a wonderful selection of traditional Cajun and Creole dishes, some of which are listed below. Closed New Year's Day, Mardi Gras Tuesday, Thanksgiving Day and Christmas Day. Breakfast served daily 8:30 a.m. to 10:30 a.m. The breakfast menu offers such choices of Southern favorites as beignets (similar to a fried doughnut, only square with no hole and covered with powdered sugar), Plantation Omelette's, Pan Perdue (Cajun French Toast, with confectionery sugar and Cane Syrup) or eggs, grits, bacon/ham, toast and Community Coffee's gourmet "Gold Cup" coffee. Lunch served daily 11:00 a.m. to 3:00 p.m.
Includes delicious, traditional Louisiana-style dishes, such as red beans & rice, chicken fricassee, fried alligator nuggets, crawfish etouffée and gumbo, as well as po-boys (Louisiana's version of a submarine sandwich), fresh salads and a wonderful selection of homemade desserts like bread pudding with whiskey sauce, pecan pie and buttermilk pie. Daily Specials are also offered daily. Plantation Café open daily 9:00 a.m. to 5:00 p.m. The Café offers a variety of selections for the guest that wants a quick bite to eat or drink, such as homemade wraps, salads, desserts, cappuccino, espresso, 8 flavors of Blue Bell Ice Cream, malts, chips, drinks and of course our famous Mint Juleps.